The best-selling Tress design combines hand-drawn detailed tessellating geometric shapes to form a dynamic pattern. 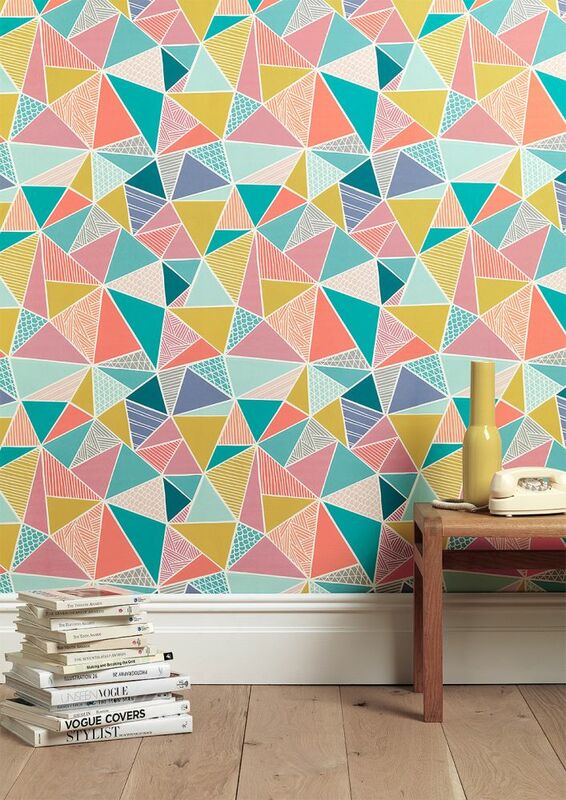 Hand-drawn triangles are richly decorated with hand-drawn naive mark-making. Inspired by Eastern pattern, and hand-drawn in the Sian Elin signature markings, the modern multi-coloured wallpaper can be used to create a striking feature wall or to paper an entire room.